Our dear friend James Jackson of Muskegon joined the ancestors on [GIVE THE DATE]. James Jackson is now with his dear comrades James and Grace Lee Boggs. 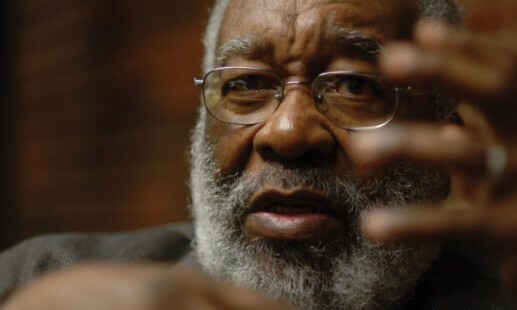 He was a founding member of the Muskegon Branch of the National Organization for an American Revolution (NOAR) and later a founding Board Member of the James and Grace Lee Boggs Center to Nurture Community Leadership. Jim Jackson was a pioneering doctor and freedom fighter. He integrated the hospital in Muskegon, authored the Health Pamphlet for NOAR, and started the African American History Museum in Muskegon. In 1964, James Jackson was the Vice Presidential candidate on for the Freedom Now Party, the all-Black political party headed by Reverend Albert B. Cleage (Jaramogi Abebe Agyeman) who later formed the Shrine of th4e Black Madonna. Jim was one of my elders and my mentors. He was also a friend who always shared stories of fishing and his commitments to being a long distance runner. I remember his commitment to health, jogging, and family medicine, and at the same time I remember him jogging in Northeast Harbor near Sutton Island (the setting for Conversations in Maine) and then eating a package of twinkies. I also remember when Jim Jackson challenged folks to stop littering because littering was such an anti-social act. As a young radical and revolutionist, I had no understanding of the importance of “small acts,” values and principles. Jim Jackson did. I share these recollections because I want to remind myself and my comrades in Detroit and across the country that our elders, our ancestors gave us gifts of political struggle, theory, and reflection, and as we live in movement times again, we have a responsibility to share the gifts we were given. Jim Jackson truly believed that we needed to change ourselves to change the world. As our comrade Ron Scott once said: if we were going to build a new movement we need to transform ourselves and actually “put a picket sign in our head.” While the National Organization for an American Revolution never had more than a few hundred members and friends in 15-20 cities, it was an important moment in the history of revolutionary struggle of the 1960s & 1970s. Jim understood that it was the internal contradictions and our inabilities to confront our own weaknesses that laid the basis for our setbacks. 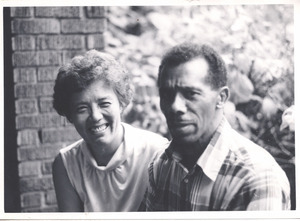 Jim Jackson was an essential part of the legacy and lineage of the work, writings, thinking, theory and reflection of James & Grace Lee Boggs, rom Black Power to the National Organization for an American Revolution and to the founding Board of the James and Grace Lee Boggs Center to Nurture Community Leadership. The commitment to place that Jim made in Muskegon stands as part of the legacy we are continuing through our commitment to create a movement for hope, which we named Detroit: A City of Hope. 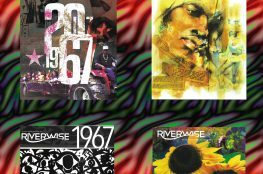 While we now look back at the 1960s Black Power Movement and the revolutionary period of the 1960s which was 50 years AFTER World War, we now live in period of revolution and counter-revolution. The revolutionary movement is emerging in our cities and across our country. Jim Jackson truly believed that this is a time for a new dream. Thank you Jim. Love to your family. We look forward to your memorial in the fall. 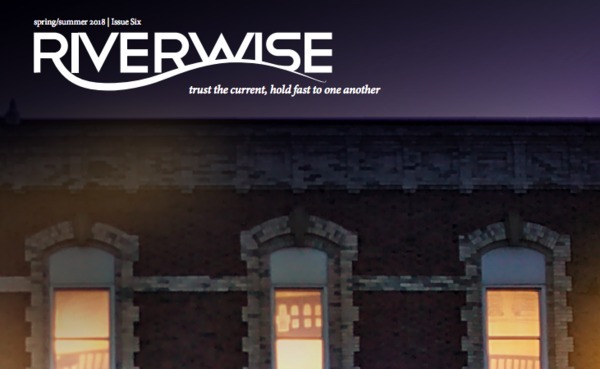 One of the primary missions of Riverwise magazine is to survey the sites where visionary organizing work is occuring in the city of Detroit. There are many examples of people who are transforming themselves and the stagnant institutions around them through fresh political and economic programs born in marginalized neighborhoods. This is where the social revolution we need to change the world is emerging. By putting these community-building efforts together, we are advancing the commitment to ‘community control’, which has long been an aspiration of many social justice movements. Water seeks connections. Over this last week we were reminded of the essential role of safe, clean, affordable water for human life. While Donald Trump drew attention for his destruction and destabilization of international relationships, his new home town was suffering from a water crisis. Tens of thousands of people in Washington D.C. were warned not to drink their water. For over a week, a temporary drop in water pressure due to an infrastructure failure, resulted in a boil water advisory to much of the city. When water pressure drops, the possibility of toxins entering the water system soars. The advisory in D.C. was poorly handled and many residents are concerned that children and elders were exposed to contamination long before anyone received word of a problem. The sheer dimensions of the contamination made it difficult for officials to contact people in a timely way. Meanwhile in Detroit, people on the East Side once again faced massive flooding from failures in the water infrastructure. People throughout the northeast section of the city reported street closures due to flooding and basements with 4 to 5 feet of water in them. At a time of year when temperatures soar, people will now have to cope with standing, stagnant waters, breeding disease. Water not flowing in D.C. or flooding in Detroit are two sides of the same massive problem. Both put people at risk. Both demonstrate the lack of thoughtfulness in addressing how we as a people will protect one another and the waters that are essential to sustain life. These problems of infrastructure are compounded in Detroit by the resumption of intensive water shut offs. After a brief suspension during the July 4th holiday when temperatures climbed above 90 degrees, water shut offs are back. These shut offs put everyone at risk. As in D.C. many neighborhoods face decreased pressure on their lines, accelerating the possibility of toxins entering the system for those where water flows. At the same time, water shut offs make basic sanitation more and more difficult. Nearly 20 thousand households, more than 50,000 people, are at risk of losing water. Homrich Wrecking continues to drive through the city, turning off life giving water, earning its $7.8 million dollar contract. We spend nearly 3 times as much to turn people off than to keep people on. Recent studies are now helping us see just how much this foolish policy puts all of us at risk. The Peoples Water Board recently released a study by George Gains, former director of public health in Detroit, documenting the increase in infectious diseases most commonly associated with unsanitary conditions created by lack of access to clean water. Stopping the water shut offs is an essential first step. But the reality of providing clean, safe, affordable water to all people requires much more substantial changes in how we understand our responsibilities to each other and the waters upon which we all depend. The pitfalls of patriotism are everywhere, and at some point those hazards must be honestly faced. Thank you for taking the LIVE FREE Detroit Safety Assessment! This survey is being administered by Force Detroit in alignment with the PICO National Network’s LIVE FREE Campaign.